To get centimeter accuracy for your application, you need correction data from a static base station (RTCM Station). ANavS® provides RTCM Stations with additional benefits for your positioning solution. Why should I use the ANavS® RTCM Base Station instead of another correction service? The ANavS® RTK correction-data matches perfectly to the used receivers on our Multi-Sensor RTK Module. Due to canceling out all receiver specific errors, this ensures the best RTK performance. 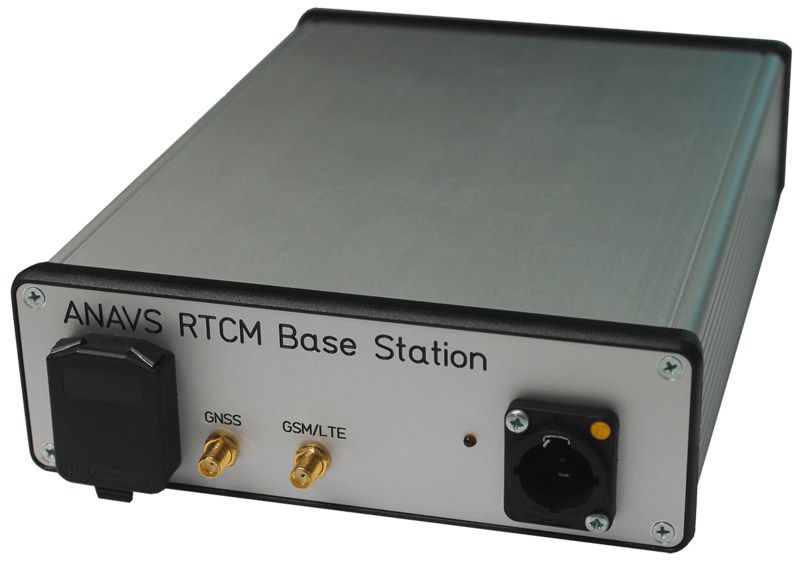 The ANavS® RTCM Base Station sends correction data for all constellations and also barometer-measurements for a differential height information in our sensor fusion. The ANavS RTCM-station is configurable as an autarkic station, which is important in areas without infrastructure. You have only some initial costs and no monthly fees to pay.